Veeam is leading the data management space currently, with over 60,000 partners and 325,000 customers. Insight Venture Partners & pension fund giant CPPIB, have reportedly invested $500M in backup & data recovery company Veeam Software. 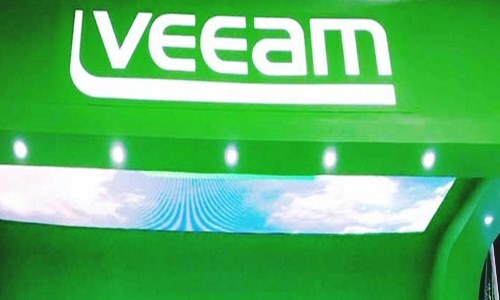 Veeam is one of the largest privately held software firms in the world, which has approximately $1 billion in sales and over 325,000 customers, and each year it adds 50,000 new customers, claim sources. According to an official press release by Insight Venture Partners, Ratmir Timashev, Founder & CEO of Veeam Software, was reportedly quoted stating that Veeam boasts of a long-standing relationship with Michael Triplett & Jeff Horing from Insight Venture Partners. Indeed, the company has been working with Insight since 2002, when the latter invested in Veeam’s first company - Aelita Software, says Timashev. Veeam relied on Insight to provide strategic counsel & support back then, adds Timashev, and after selling Aelita Software to Quest Software in 2004, Veeam and Insight continued their relationship, he affirms. Timashev expounds that Veeam is leading the data management space currently, with over 60,000 partners and 325,000 customers. Michael Triplett, Managing Director, Insight Venture Partners, was reportedly quoted stating that Veeam has established itself as the premier vendor for on-premises backup & recovery software over the past decade and is the number one in the market for providing data management for private & public cloud environments. Companies like Apple and Amazon have been able to achieve leading positions in the market, and Veeam Software has joined this elite group, Triplett adds, claiming that Veeam has unmatched leadership in technology, vision & go-to-market strategies, which Insight Venture Partners believes will further upsurge its number one market position. Triplett further says that Insight is rather thrilled to continue this journey with Veeam’s management. Veeam Software, a privately held information technology firm, headquartered in Baar, Switzerland, develops disaster recovery, backup, and intelligent data management software for physical, virtual, and multi-cloud infrastructures.